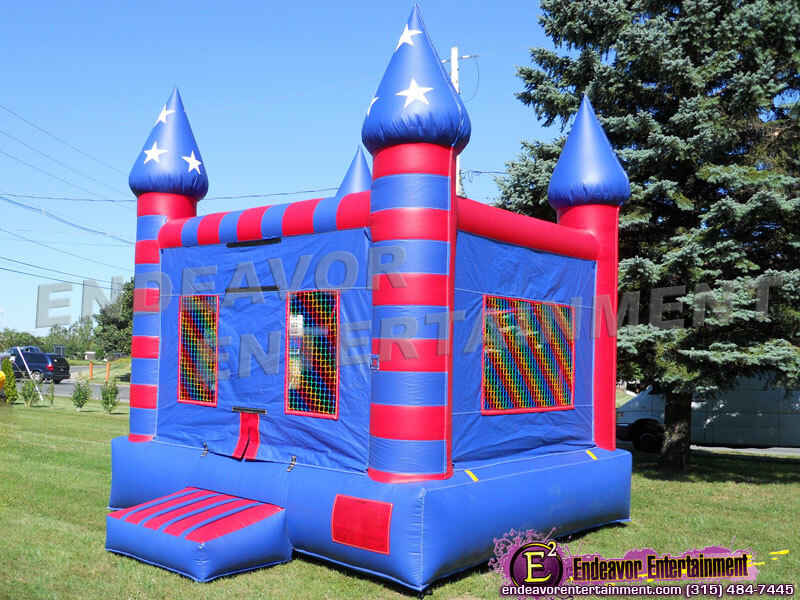 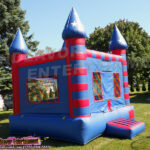 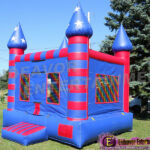 The perfect bounce house for July 4th & Memorial Day. 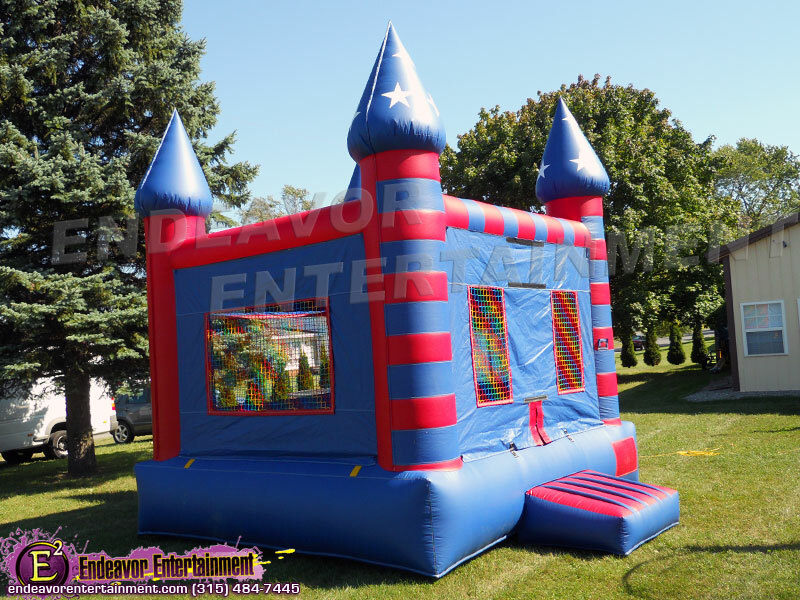 This patriotic moonwalk, featuring stars and stripes, will provide hours of bouncing fun at your next backyard barbeque. 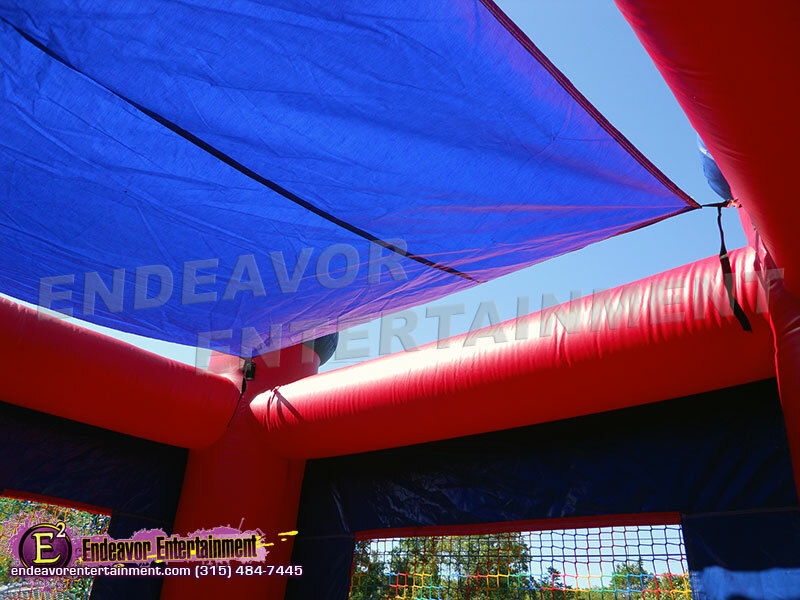 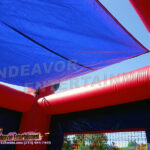 The top of the jumper can be left in place to provide shade or can be removed.